We’ve all been exposed to horrific news headlines and images that tell of babies being found abandoned in piles of rubbish. And the statistics tell an equally tragic tale. According to the National Adoption Coalition of South Africa (NACSA), 65% of all orphaned children are newborns, while 90% are under a year old. It’s this sad reality that has been the motivation for the family-run TLC Children’s Home in Eikenhof, Gauteng. For the past 25 years, the home has been a safe haven for orphaned babies and children, most of whom have been born into unfortunate circumstances. Thea Jarvis, and her daughters Pippa, Joanna and Faith, do more than manage the home, acting as parents, caregivers and fundraisers. “We do our utmost to give our children a household which is as close to a home as possible and to give them as good a start to life as we can, but we are constantly battling against inflation and the soaring cost of everyday basic items. 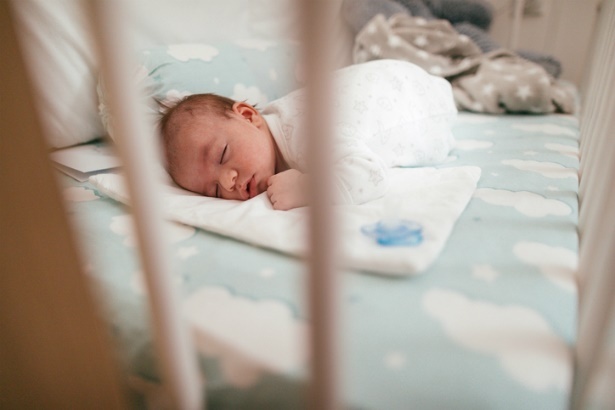 When one thinks of the cost of nappies and baby formula, R100 a month is very little to ask, but means so much,” says Thea Jarvis, referring to the TLC’s newest fundraising initiative, Adopt-a-Cot. Current funding makes up just 15% of what is required to pay for the monthly expenses of running the home, and by donating just R100, South Africans will be covering one infant’s expenses for one month, this includes the cost of formula, nappies, clothes, food, and medicine. Research has shown that the first 1000 days of a child’s life is crucial for it's physical and emotional development throughout infancy and beyond, and your donation could prove invaluable to the little lives at TLC. Also read: Have you considered adoption? “Even though TLC identifies itself as more of a family environment as opposed to a typical institution, we are aware that this is no replacement for a family. This acknowledgement motivates our efforts to ensure each child’s stay with us is as short as possible and that they are placed into a permanent, loving home as quickly as possible,” concludes Thea. To donate, visit the TLC Children’s Home website for step-by-step instructions. A report will be available to keep you updated on how your donation is benefiting the baby in your cot.